With the Wii Remote, Nintendo has motion controls. With Natal, Microsoft has it. With its new wand controller, Sony once again has it, too. 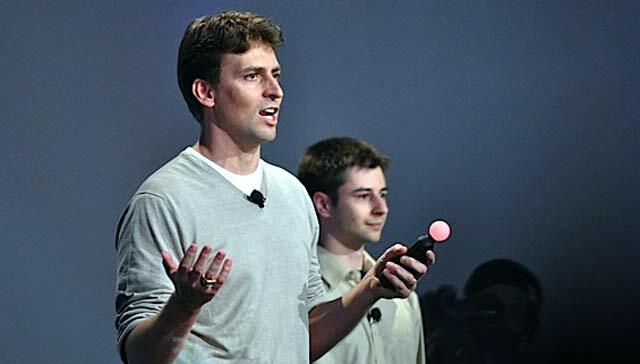 Sony is not stranger to motion controllers. The EyeToy and the SIXAXIS both have offered players interactive motion controlled Sony experiences. With increased competition, Sony is trying to remain competitive with its new wand motion controller that was debuted at E3. The company could very well have an ace up its shelf: The controller, reports Sony, is incredibly accurate. "What most people are really surprised about is the precision," Sony's Kish Hirani tells game site Eurogamer. "It's scarily good. The army has had this sort of technology for a long time, so a lot of academians have seen these things, but when you see a consumer space device with this level of accuracy — that's when developers say, 'Wow.'" Something else that might make developers say "wow"? It's possible to set the color of the controller's light up ball. "I'm not a games designer, but if I was I might use it as a muzzle flash if you're using a gun, or use it as a paintbrush you can use to dip in and pick up different colors," Hirani adds. "There's always room for wizards..." Color could also come in handy for when four of these controllers are used at once. Another tidbit? The new controller will have buttons. Buttons are nice!